BCO AWARDS 2017 - We have made it easier to enter! One of the BCO’s primary objectives is to define excellence in office space. As part of this objective our annual Awards Programme provides public recognition for top quality design and functionality and a benchmark for excellence in workplaces. For our 2017 Awards we have brought in a few changes to the entry process to ensure the BCO Awards programme stays fresh and relevant to the market. 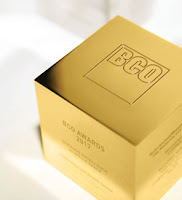 The BCO has introduced some changes to its Annual Awards, can you tell us briefly what they are? They are fairly straightforward. The key change is that we have made it a far more straightforward entry process, with an entry form which is less reliant on technical data. We have also introduced two new regional awards – The Regional Committee Chair Award and The Innovation Award - and the 2,000m2 or less category will be reduced to 1,500m2 or less. There are also some regional constituency changes, which will see London as a stand alone category, with the South East counties distributed accordingly between the South West, Thames Valley and South Wales and the Midlands and East of England judging regions. Why has the BCO brought in these changes? Our aim was to make it as straightforward as possible to enter the Awards by making them less time-intensive and more accessible. The structural changes are in recognition of the evolving market in which we operate. The best BCO Award winning buildings over recent years have been those that put people first. So we have made sure the judging process delves further into the practicality of the building – what it is like to work there, how it helps staff in their day to day work and how it reflects the ethos and outlook of the occupier. We have simply followed the movement and the trends in the market to keep the Awards relevant and fresh. 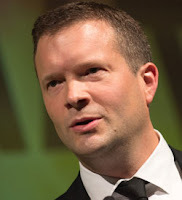 If it is easier to enter the BCO Awards, will it become easier to win an Award? BCO Award winners define excellence – so only the best offices will ever win one of our awards. The rigorous nature of the competition will continue; the judging will be as robust but the process of entering will be more accessible. Matching the criteria which is laid out in The BCO Guide to Specification is a key component of the entry, will this still be the case? The BCO recognises that the use of the Guide to Specification is influenced by the boundaries of each project. The Guide will still be as relevant, but its application will be more specific to each project. It will no longer be used as a check list in which you have to tick each box. There are now five questions which allow entrants to describe how they used the Guide to aid their specific project and how they went about their decision making process. What we are interested in, is the practical application and what has been achieved. It is not about numbers and data but about how the building is used, and how the design has assisted working practices. The judges want to know why the project teams did what they did and whether it has worked. What about the financial data? There is now a straightforward costings form for all entrants to fill in. This is standard information that will be available to the judges for all projects and can be easily compared across the board. The BCO judges will be considering sustainability in the real world: What it means for the wellbeing of the staff, the efficiency of the office, the bills and staff recruitment. We will not require in-depth information and figures on the output of the HVAC system. We still want to know about what accreditation has been achieved, but we will also be interested in why that route was chosen. How will the changes affect the judging process? Judging will now be more transparent. The revised application will make it easier to draw comparisons of schemes from across the market, regardless of their use or location. The judges will still apply the same stringency and utilise their expert understanding and knowledge, but they will operate with greater clarity and comparison. Can you give us some more detail about the new awards and the boundary changes? Making London its own category recognises the unique nature of the Capital's market; the size and finances of many of these schemes make it difficult for efficient comparison with developments outside the Capital. The size reduction of the categories will reduce overlap with other categories for smaller buildings. This also recognises the fact that, in most parts of the country, a 2,000m2 scheme is seen as a significant office development. Whilst schemes cannot enter this category specifically, judges can now recognise innovative schemes regionally rather than just nominating them to be considered for a national Innovation Award. This will introduce extra opportunity for projects to be celebrated in their region for something that is innovative and that the teams can be proud of. This award recognises the importance of those individuals or companies that are making significant contributions to their regional markets. It is the chance for the BCO to recognise their hard work and dedication. As with the National President's Award, the Regional Committee Chair's Award is by nomination and not entry. What happens once someone has won an Award? Our aim is to utilise the information from the winning schemes and make it available for other members to learn from. We would like to share the information in a progressive nature. We are not talking about releasing trade secrets but just looking at how we can help improve the environment as a whole. And finally, are there any more changes afoot? We are continually evolving so the Awards will always be fluid, in order to meet market requirements. We already have plans for the 2018 Awards -but you will just have to wait and see! Many thanks for taking the time to speak to us, Peter! 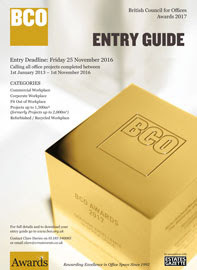 Entries for the 2017 BCO Awards open on Wednesday 5 October 2016. The closing deadline is Friday 25 November 2016. Projects for the 2017 Awards must have been completed after 1st January 2013 or due to be completed before 1st November 2016. Our entry guide is available to download now and will take you through the new submission process step by step. Please make sure you read the entry guide, to ensure that you give your project the best opportunity to stand out from the crowd. The BCO Awards registration is separate from the BCO website and you will need to go to www.bcoawards.co.uk and set up a new account with separate login details specifically for submitting a BCO Award. For more information on the awards go to the BCO website. 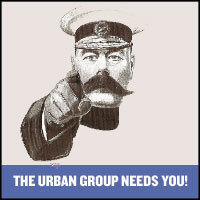 The Urban Group Needs You! Free thinking, ambitious, pro-active members with great ideas that will provoke debate and challenge convention as to how the workplace does or should sit and interact with its surrounding environment. The Urban Group was established to look at the way the office and workspace interacts with the surrounding urban environment. To communicate the growing importance of this relationship and to share knowledge and examples of where we have got it right, where we may have not and how the future might look. The Urban Group has the flexible remit to encourage alternative thinking, challenge convention or simply support best practice. We wish to invite members interested in the built environment to submit proposals for an exhibition, a seminar, an external speaker, a site visit, a research project or any other event that may be relevant to satisfy the groups remit. This is a unique opportunity to chair an event which will be promoted to members, to discuss issues that are important to you and your organisation and contribute to the arena of debate, allowing us to share knowledge across the industry. Proposals will be assessed by the Urban Group and successful candidates will be mentored and assisted by a committee member. Subject to agreement, it is intended that successful candidates will then serve on the Urban Group, replacing their mentors and until the next group are identified. Should you wish to make a proposal, please email - research@bco.org.uk.